It seems like Christmas was just a week or two ago, and yet somehow it’s February. Things are definitely full steam ahead in the Legal Writers office, but the same can’t be said for Parliament. With an election mooted for May, the government has unofficially entered caretaker mode and very little legislation is getting passed. That doesn’t mean that the courts and agencies are sitting idle, though. We’ve rounded up the latest news across the country to help you keep up to date. If you think your clients would like to know more, give Rakhee or Tanya a call – we’d love to have a chat about how we can help. The market power of Google and Facebook in particular. They have indicated that they may review the merger laws and require large digital platforms to give notice before making acquisitions in Australia. They also indicated that they wanted to make sure consumers had choice when it comes to browsers and search engines. There is little transparency over the algorithms and policies Google and Facebook had. They indicated that a regulatory authority monitor, investigate and report on digital platforms’ anti-competitive behaviour and the news and media activity on large digital platforms. How difficult it is to get digital platforms to remove content that infringes copyright. They’ve recommended setting out new procedures to address this. We can expect further recommendations and potential legislative changes arising from this report in the future. Relevant to any business or person that uses digital platforms. The ATO has its sights trained on gig economy workers working for companies like Uber, Deliveroo and Airtasker. The major gig economy platforms are consulting with the ATO on how to develop and adhere to a reporting regime which will see them report all workers’ incomes. NSW has passed an amending act to the Conveyancing Act (the Conveyancing Legislation Amendment Act 2018 (NSW)) in an attempt to strengthen protections for purchasers who buy off-the-plan properties. Typically, the contract will state that either party may terminate the contract if a nominated event hasn’t occurred by a given date (e.g., approval for a subdivision). Some unscrupulous developers have been deliberately delaying these ‘sunset events’ in order to rescind the contract and re-sell for a higher price. The amendment requires the vendor to serve notice of a proposed recission, and then either obtain written consent from the purchaser or a court order allowing them to rescind. That makes it harder for developers to take advantage, but also means that a scrupulous developer can get caught in the event that a sunset event provides impossible to effect. Relevant to: property developers and off-the-plan purchasers. Rakhee graduated from the University of Melbourne with Honours and began her career practising taxation law. While working for blue chip companies like ANZ, Foster’s and General Motors she developed a flair for writing. She’s been featured in The Australian, Forbes and BBC publications, and enjoys creating content that leverages her knowledge of the law and business. Her expertise includes taxation, migration, financial services, corporate and employment law. Rakhee is based in Melbourne. 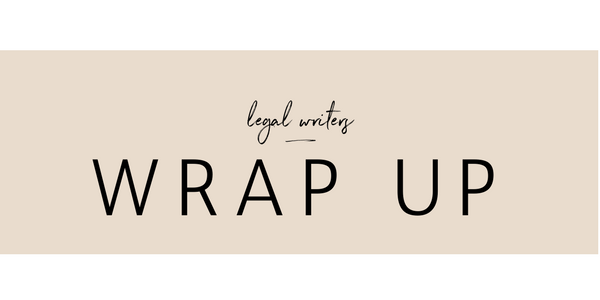 You can contact her by email at rakhee@legalwriters.com.au or call her on +61 409 418 297. We understand that writing about the law, accounting and financial concepts takes a specific skill. That’s why our writers are legally qualified and many have experience working in accounting and financial services. As professional writers, we also know how to create content that is easy for your clients to understand while still being accurate.